I've noted that really often, questions require the use of schematics, and answers too. Since I've seen some online editors, why don't we also embed one, to encourage the use of proper schematics? Thanks to the great work of the people at CircuitLab (special thanks to Yuan Wei, the developer who worked with me on this), this is now live. This button will launch the CircuitLab schematics editor / simulator. Clicking “Save and Insert” in the schematics editor closes it again and inserts the circuit's image into the post editor. When editing an existing post that already contains a schematic, you can also click “edit the above schematic” which appears below the circuit image in the post editor's preview. This will open the corresponding circuit in the editor for further refinement. If you're interested in some technical details and design decisions regarding the editor integration, you can read my announcement post on meta.ux (starting from “This was a somewhat…”). This was about the Balsamiq mockup editor, which was the first external editor that we integrated with a Stack Exchange site. The CircuitLab editor's integration is very similar; from a user's perspective it's almost identical. CircuitLab officially only supports Firefox and Chrome. It seems to however work just fine in the other browsers that we support on Stack Exchange (IE9+, Safari, Opera). Nonetheless, when you launch the editor in a browser other than Firefox or Chrome, we'll warn you that the browser isn't officially supported by the editor (but we won't refuse to launch it – as I said, it generally works fine). For detailed information about the CircuitLab editor, have a look at their documentation. I'm one of the developers of the CircuitLab online schematic editor and circuit simulator, which we released publicly just a few weeks after this question was asked. 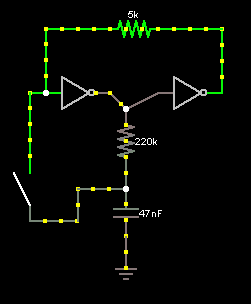 You can draw and simulate a circuit, save it, click "Make public", and you've instantly got a circuit URL plus schematic images to share. It's also usable for "schematic only" (non-simulated) operation, where you just want to lay out ICs as blocks, etc. We have cross-tab copy+paste, so you can load someone else's circuit, select a bunch of components, hit Ctrl+C, switch to your clean schematic tab, and hit Ctrl+V and you're all set. 100% in-browser, no Flash/Java plugins required, fully Windows/Mac OS X/Linux compatible. We have a big to-do list of simulation and schematic capture features that we're working to add, so I'm not sure that we have the engineering resources to devote to making an "embedded" version of the editor at this time. However, I'm just curious to see if something similar is something the community might be interested in? Similar to how the User Experience stackexchange site embedded Balsamiq. So most of it is implemented already, but it would be best if there were a way for the poster to edit the circuit and press Save instead of having to copy and paste the raw code into their post. Maybe a collaboration with Upverter? Though their circuits are very... blocky. They have PNG export, though. Before we ask the time-strapped devs to embed some online schematic editor, let's look at the problem and determine what we need. What do we have now? We all have schematic capture programs on our PCs. They're high-quality pieces of software that we're intimately familiar with and that we may have paid a lot of money for. Additionally, the designs that we're talking about are usually already in that format, we've just got to grab the screenshot. We've mastered the learning curve, and can use them efficiently. Furthermore, they're linked into a toolchain that can generate PCBs and possibly simulations, and if not, we've got programs for that too. Why are these programs inadequate? I can see two arguments against the continued use of desktop-only editors. First, the desktop-only editors require you to launch an app outside of your browser. My response to this is that if it increases the effort requirement and removes some low-quality answers, then that's a pro and not a con. It's not that onerous to alt-tab out of the browser and into your schematic editor. 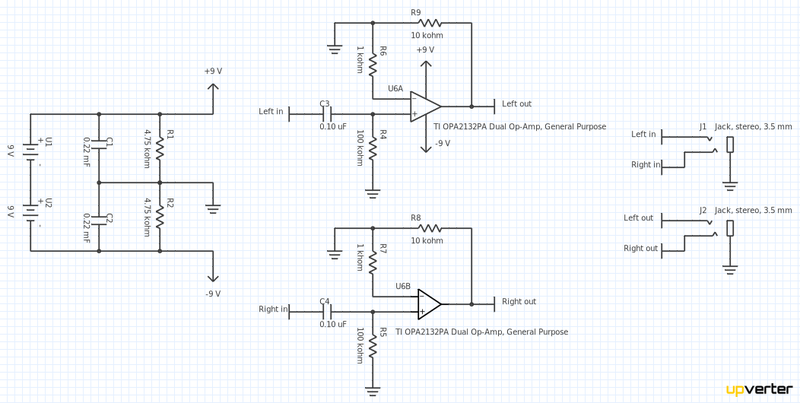 Second, the desktop-only editors don't allow editing the schematic when it's uploaded as an image. You might draw parallels to Stack Overflow users posting screenshots of code - Sure, they've all got text editors, but there's value in making the content easy to copy/paste and edit. I'd love to see an online, editable schematic capture program that we all knew and with which we could edit schematics. I simply don't think the benefits are worth the sacrifices. I think this is an excellent idea. I would certainly love to be able to edit schematics directly in the questions and answers. Maybe it's just me, but my workflow for adding a schematic to an answer goes something like this. I sometimes find myself going round this loop several times at the expense of about half an hour. I think that certain people are objecting to an in-browser because it's something they don't yet have. I expect that if we already had one, and clabacchio suggested getting rid of it, then those same people would be up in arms, explaining in detail why this was a bad idea. 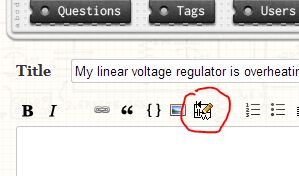 I've just come across http://www.diagram.ly/ which might be helpful as an online editor, as it does have electrical symbols. Not the answer you're looking for? Browse other questions tagged feature-request status-completed editing schematic . Simple online tool to draw circuit diagram / schematics? Who'd be interested in having SystemVision integrated here? Why is the CircuitLab tool privileged? 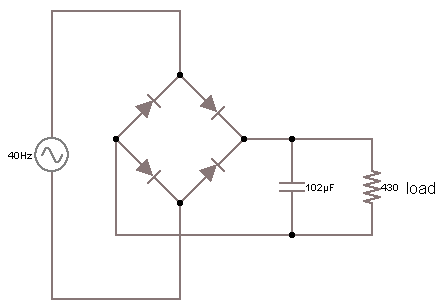 Can we have an electrolytic capacitor in the schematic editor? Can we add to the FAQ something about Fritzing vs schematic diagrams? Not allow question deletion while answer being written?